Have you always wanted to work in a very organized and well-known health firm in Nigeria? If yes, then you should definitely Apply for this Society for Family Health recruitment 2019. Then you just have to Apply for this current SFH recruitment because the vacant positions exist Nationwide in Nigeria. The Apply for a Job team will move further by listing the departments that are inclusive in this Society for Family Health Young Talent Programme 2019, description of the Programme, Salary and other employee’s benefits, the General requirements and finally show you how to Apply for these vacant positions at the Society for Family Health (SFH). The Society for Family Health is conducting this latest Job recruitment so they can employ Nigerian Graduates who are Young, creative and willing to contribute immensely to the growth of the Non-Governmental Organisation (NGO). These NGO Jobs in Nigeria are equally for Graduates that are well behaved and also good in doing the Jobs assigned to them very well. Those who will be filling the Society for Family Health 2019/2020 recruitment form and also get provisional employment with this NGO, will be learning a lot from this health organisation because the Staff that manage the SFH career team has arranged the functions of these Young and talented workers in a way they will learn a lot and indeed, develop their careers while doing their Jobs. Candidates that will get these Jobs should be sure of receiving a decent salary from this NGO. They will be assigned to knowledgeable mentors and supervisors who will guide and teach them while they perform their respective duties. Every Interested Person should have qualifications in the field he or she intend to Apply for, by filling the Society for Family Health online recruitment form for 20192020. The qualifications that Applicants are required to have in their various areas of interest should be either Bachelor’s degree with nothing less than 2nd class upper division or Higher National Diploma with at least upper credit. 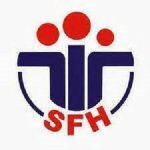 Only Nigerians that are below 28 years old are welcomed to Apply for this SFH recruitment 2019. Applicants must have at least 2 years of work experience, after obtaining their NYSC discharge certificates. Please note that People who are not computer literates are not welcomed to Apply. Anybody that meets the general requirements on this page should visit here: sfhnigeria.simplicant.com to see more details and more requirements for this young talent program and then fill the Society for Family Health 2019/2020 recruitment form.